Yongnuo has become one of the most reliable options out there when it comes to buying flashes for Canon, Nikon, and popular cameras. The brand has a collection of flashes that you may choose from for your device. This flash comes with a built-in trigger system and is compatible with a variety of digital cameras including Panasonic, Fujifilm, Nikon, Canon, Olympus, and Pentax. It supports wireless master function. It is a full manual flash. It also has a slave flash function that works wirelessly and supports a variety of transmitters: RF-602, RF-603, and YN560-TX. You can set the flash to save automatically through customized settings. It also has a number of other settings such as flash light to give you optimal performance. It requires an external power supply to charge, and the brand claims that it charges quite quickly. Make sure you go through all the remote control settings before you start using this flash. Some users have noted that the controls are slightly complicated, but you can understand them all after a couple of uses. This Yongnuo flash is especially designed for Nikon cameras. It is compatible with RF603 and YN622N wireless flash systems. It has an extended display thanks to which you can use it as an LCD panel or control panel. Using the remote control, you can set the parameters of the flash according to your preferences such as focal length, flash output, and flash mode. The package comes with a manual that clearly lists out usage instructions. Make sure you go through them before you start working with the flash. 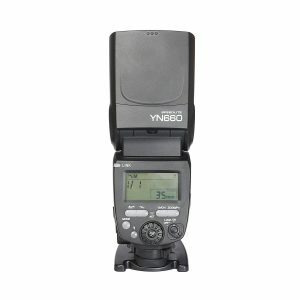 Users have said that it is among the best Yongnuo flashes for Nikon at this price. 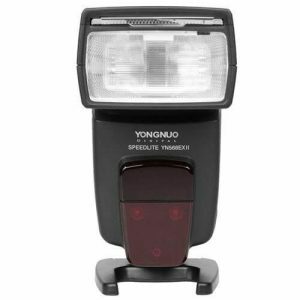 This Yongnuo flash is proudly an Amazon’s Choice product, made especially for Canon cameras. It has a superior LED light with adjustable brightness along with a color conversion filter. 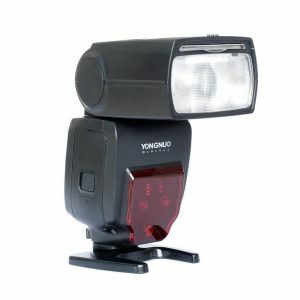 This Yongnuo flash supports multi-flash, manual flash, TTL flash, and GR grouping flash. You can zoom it automatically or manually based on your convenience. It has a built-in diffuser. Yongnuo YN968EX-RT can serve as the master unit for live display and recycle information. Its HSS can reach 1/8000 S.
It can receive wireless optical master signal from Canon as well as Nikon. You can work with S1 and S2 modes here. It has an external power supply port. The firmware can be upgraded from the brand’s official website as and when required. You may find the menu and the settings a little confusing in the beginning, but they can be understood through practice. You can also refer the user manual for complete usage details. 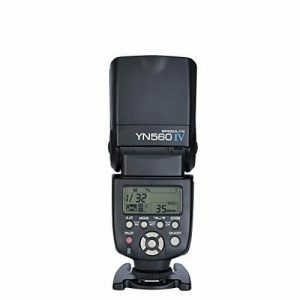 Another excellent flash from Yongnuo, the YN660 flash is compatible with Canon, Nikon, Olympus, Pentax, and other popular digital cameras. 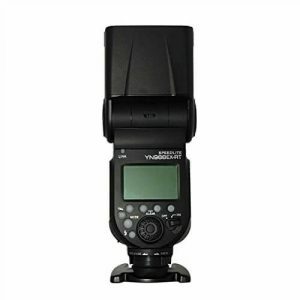 It has 2.4G wireless speedlite and can be worked in various modes. 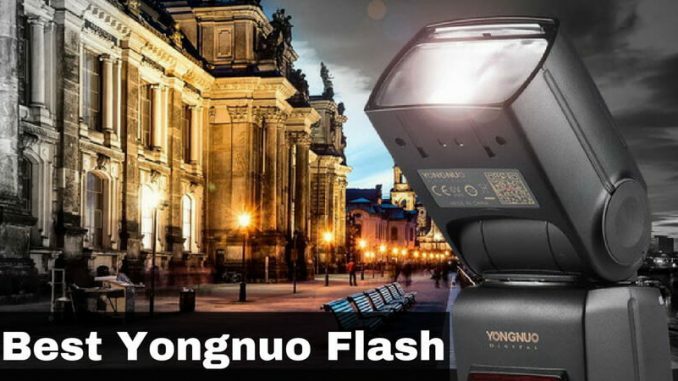 It is among the more affordable flashes from Yongnuo. It allows six groups of light with the unit working as the master unit. You can remote control the flash light, focal length, and output. You can trigger the flash through the camera itself. You can customize most of the settings based on your usage and convenience. The flash comes with a mini-stand, a manual, and a protective bag. One thing to keep in mind here is to not keep flashing continuously because it could end up burning the flash. The brand has warned users about this in the manual. If you want to flash rapidly, you could switch to low power setting. High power can be fatal and should be avoided. This Yongnuo flash has been designed keeping Canon and Nikon models in mind. It comes with a carrying case, a manual, and a stand. It is a 4-channel flash with TTL flash speedlite. It has a wireless master control. The HSS on this flash is 1/8000 S.
It is important to be careful while working with the flash because it has a tendency of overheating. Continuous usage may be damaging, which is why you need to give it time to cool off every once in a while. The market has a variety of Yongnuo flash products that can fit your needs as well as your budget. You just have to spend some time looking for devices that are compatible with your camera. Do let us know which Yongnuo flash you purchased and what you think of it!